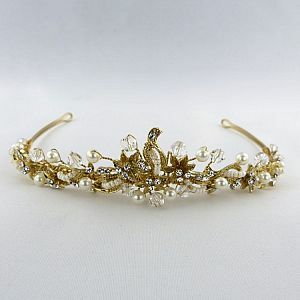 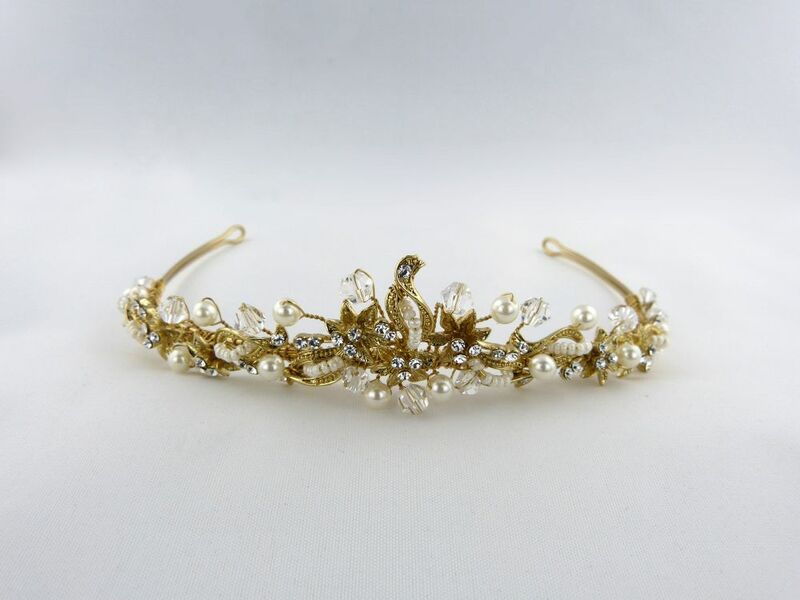 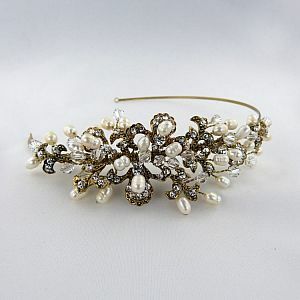 Vintage gold pearl and Swarovski tiara. 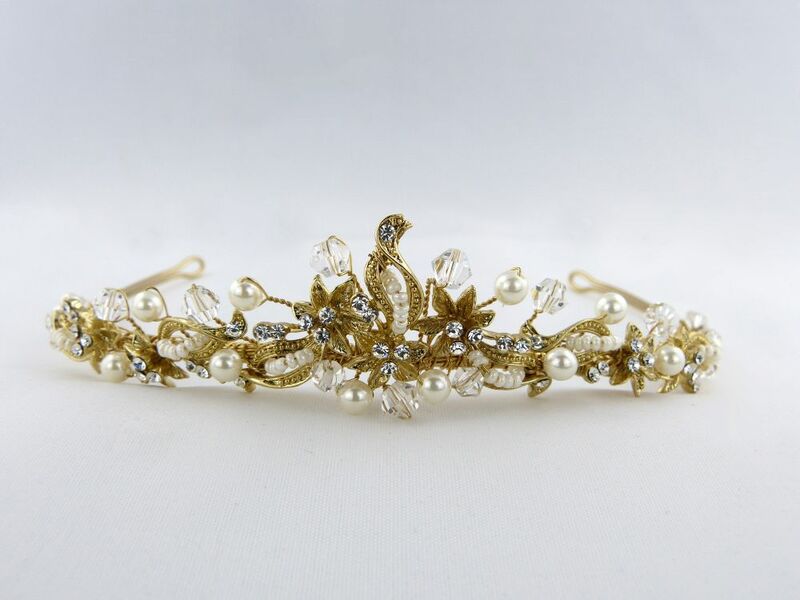 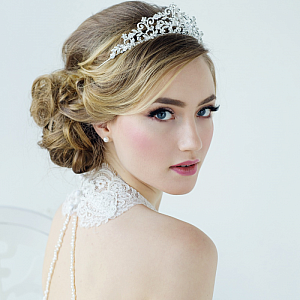 Adorned with freshwater pearls and stunning Swarovski Marquise stones. 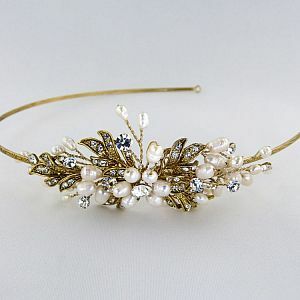 This tiara has a matching necklace and earrings set.